An important development in the role of corporate houses has been the increasing focus on their corporate social responsibility. Corporate Social Responsibility is the continuing commitment by businesses to behave ethically and contribute to economic development while improving the quality of the workforce as well as of the local community and society at large. LIC as a responsible Corporate Citizen has been fulfilling its social responsibilities from time to time. 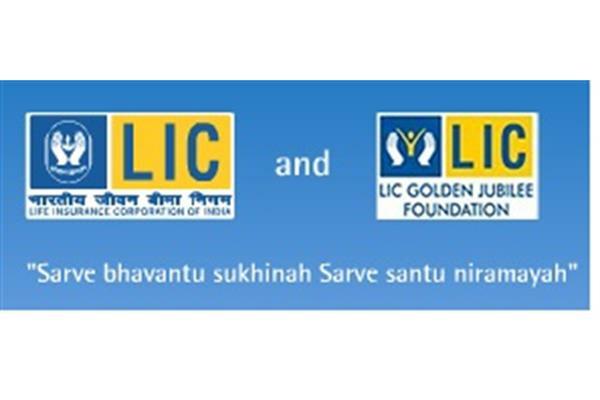 LIC Golden Jubilee Foundation was established on 20.10.2006 as a part of LIC’s Corporate Social Responsibility.The Foundation has been registered with the Charity Commissioner Mumbai and is also exempt under Section 80G of Income Tax. The objectives of the LIC Golden Jubilee Foundation are promoting education, health, relief of poverty or distress and advancement of other objects of general public utility. Golden Jubilee Foundation can provide a great avenue of fulfilling our social responsibility at the corporate level and our philanthropic needs at the individual level. The Foundation has supported projects ranging from construction of Hospitals, School buildings and classrooms, library, computer centre, Old age homes, Hostel buildings for children in tribal areas, Vocational training centres for differently abled persons to provide infrastructural facilities to needy persons in different pockets of the country. We have also provided funds for purchase of School buses for transportation of differently abled children and Ambulances for transportation of patients to Hospitals. The Foundation has supported cochlear implant programme for children from economically weaker sections of the society spread across the country through KEM Hospital, Pune. LIC Golden Jubilee Foundation has reached out in areas where natural calamities have devastated human life and provided infrastructural support to orphan children through NGO’s. The list of projects supported by us is available under the Activities and project details link.